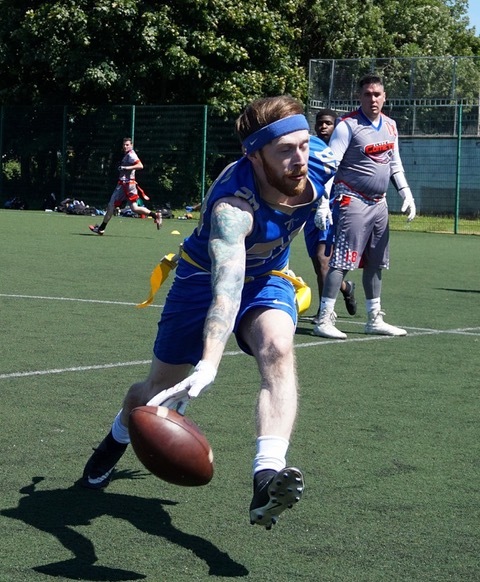 For the 2014 season, the Titans committee entered a team into the flag football league, this was to provide further opportunities to play for existing members and to attract new members to the club who were not interested in playing contact. Utilising players from the Senior Kitted team and later the Junior Team (Flag is for ages 16+). 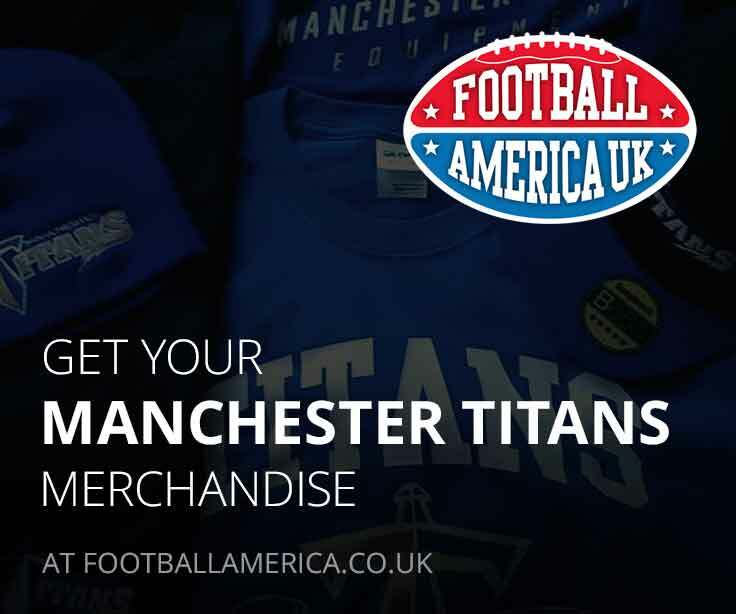 The Titans managed a respectable 4-6 record in 2014, going undefeated in tournaments in Manchester (Mayhem) and Calderdale. For both 2015 and 2016 this model continued with no real focus on flag the team was an extension of the contact arm of the club, in 2015 the team finished 4th in the MEC South conference with a 4-9 record. The story was the same in 2016, 4th again this time with a 9-7 record in an expanded competition. Despite strong inter-conference performance they were unable to make the post-season due to the strength of the MEC South division. During 2016, Rick McEwan and Alan Mead started to focus more on the flag team with formal training session and playbooks formulated. 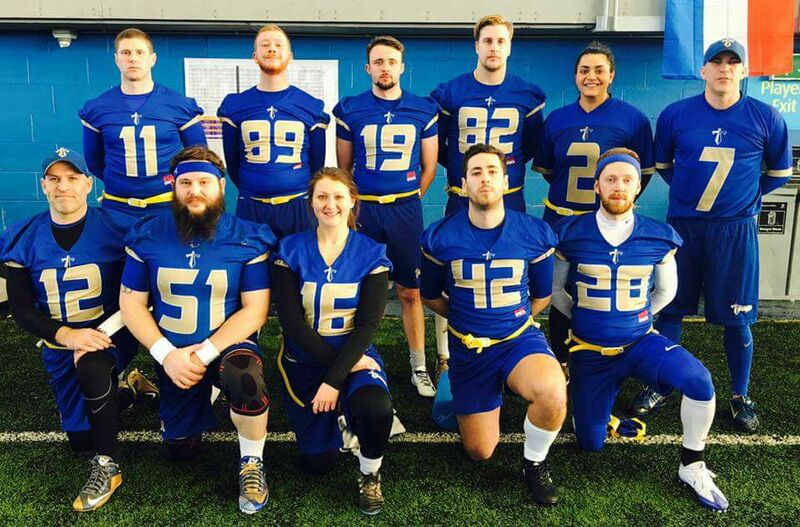 For 2017 the Titans now had a squad dedicated to flag football, with players from both the Adult and Women’s teams training flag twice a week on with a dedicated Tuesday night session that doesn’t collide with other club training session. 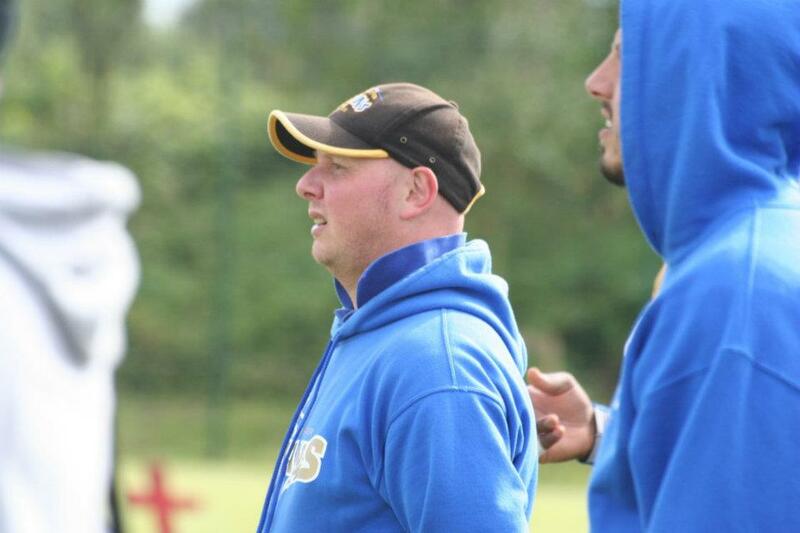 The league announced that for 2018, there would be a two tier structure so to ensure they play at the highest level the Titans must finish in the top 2 position in their division which for 2017 contains’ Manchester Crows, Wigan Warhawks and Cheshire Caveliers. 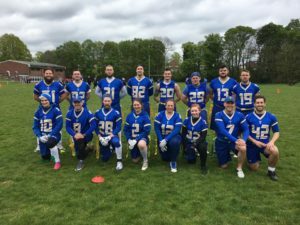 The Titans 2017 season was a great success, winning their division in the MEC the Titans clinched a berth in the top division as the leagues split into two tiers and made the 1/4 finals of the play-offs.